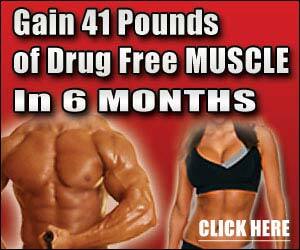 Anorex SF is a Weight Loss diet pill Compound for the significantly Overweight. Not to be used as a casual diet-aid. Anorex helps Overcome Genetic Link to Obesity. Anorex - The first weight control compound designed to mitigate the profound effect that variations in the human genetic code have on the storage, use, & disposition of body fat. This pill has had absolutely no effect on metabolism in my clinical trials. Hydroxycut has a higher significant effect on weight-loss up to date. However, it is uncertain if the resulting weight-loss is mostly water weight, or fat. I am not a scale person.. all I can tell you is I fell energized and I am not cranky like on other diet aids. I dont understand how anyone that is actually trying to loose weight would gain from this pill. If you have your head on straight and put your best foot forward this pill will help you achieve your goal. It is not a magic pill, it is an aid. I'm almost done the bottle, haven't lost a pound, in fact I've gained weight since I started using it. No significant results whatsoever in conjuction with reduced calorie diet and regular (3-4 weekly) 45-60min workouts. I have been on anorex-sf for a week. I have not lost any weight and find myself hungrier than normal. I have been craving junk food like crazy. I would not recommend this product to any one.